Last week I interviewed Rabbi Meir Hirsch, leader of Neturei Karta Palestine, at his home in the Orthodox neighborhood of Mea Sharim in Jerusalem. Mea Sharim is a tight, crowded maze of a neighborhood with windy, dirty, dimly lit streets. Walking down a cobblestone pathway at night, with Orthodox men, women and children hurrying by on all sides, with cats scurrying in and out of dumpsters, with a yeshiva to the left and a kosher slaughterhouse to the right, one can sometimes get a flashback to a past life in an 18th-century Russian shtetl. 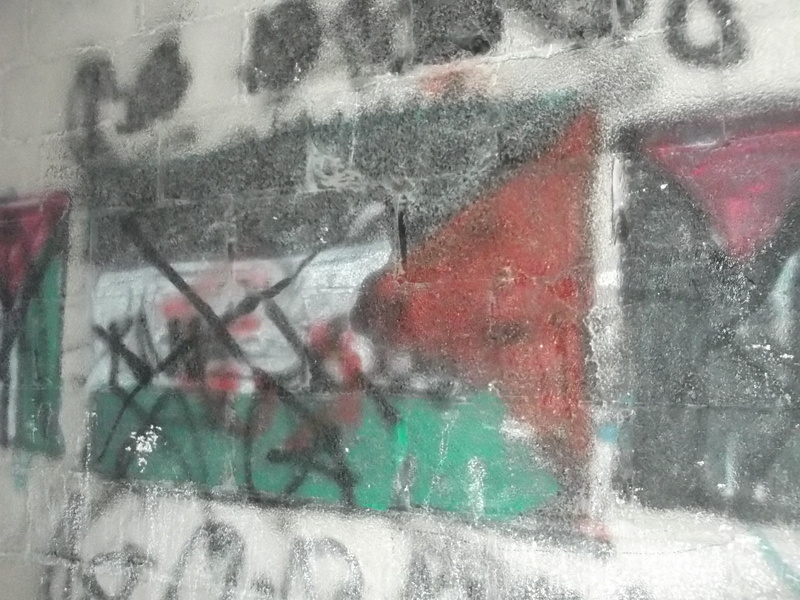 In the few blocks around Rabbi Hirsch’s home, the Neturei Karta stronghold in the center of Mea Sharim, one starts to see Palestinian flags scrawled on the walls, with slogans like ‘No Zionists Allowed’, ‘Zionism is Dying’ and ‘Arabs are Good’ graffiti’d in Yiddish, then crossed out, then graffiti’d again. Rabbi Hirsch’s doorbell reads ‘A Jew Not a Zionist’. 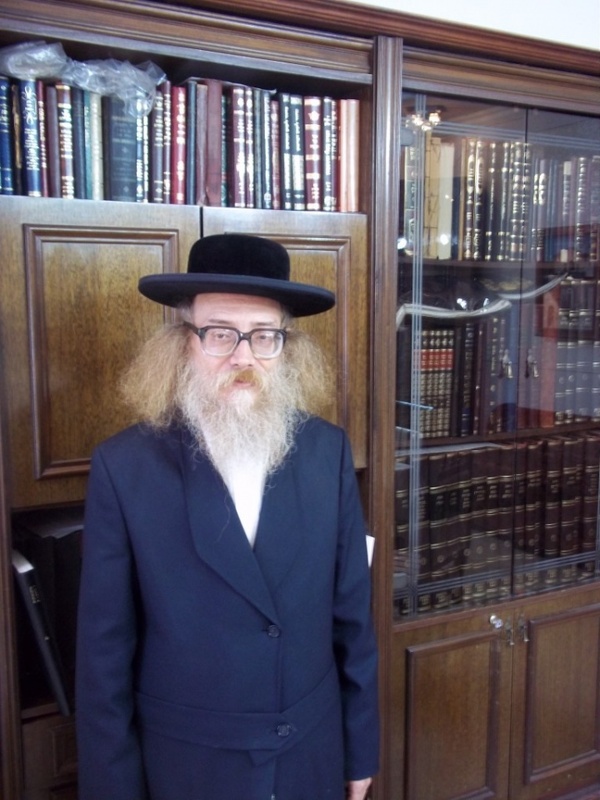 An excellent interview detailing Rabbi Hirsch and Neturei Karta’s political views can be found here-http://www.palestinemonitor.org/?p=1652. Also be sure to visit Neturei Karta’s website, www.nkusa.org! When did your family come here? Meir Hirsch: I am the fifth generation in this land. My family came 150 years ago from Russia. Then, Aliyah as a term, like Zionism, did not exist. People outside of Israel aspired to get to Israel in order to better worship God. When Mea Sharim was made 145 years ago, it was a wilderness at first! There were animals roaming around, people had to lock their doors! When the Orthodox community saw waves of European secular Zionists coming, how did they feel? The Balfour Declaration of 1918 made the people here, especially the orthodox families, very upset. There was an objection from the ultra Orthodox community, which was the majority, specifically in Jerusalem but in other parts as well. Jacob Israel de Haan was a secular Jew who became religious, and came here from Poland. He came to Palestine and at first he went to the Mizrahi movement, but was not content with their version of religion and connected with [WHO] the Chief Rabbi of the ultra-Orthodox. Because of his diplomatic connections he almost got the Balfour Declaration canceled- he had connections with Arabic leaders and British leaders. The Zionist leaders, because they saw that he was about to succeed, decided to assassinate him. When he was coming back from Maariv (evening) prayer, they shot and killed him. That led to the foundation of the Neturei Karta movement to continue to resist the Zionist movement. De Haan was trying to make a bi-national state? He was trying to undo Zionist aspirations towards statehood. The Zionists were progressing with their project and the Arabs were very much worried that the Zionists were trying to take their land. He met with King Abdallah of Jordan who promised him that Jews would have no problems living in Jordan or wherever he may rule, as long as they didn’t have any aspirations for political dominance. Could you call de Haan a cultural, rather than a political Zionist? He was anti-Zionist! He was completely detached from Zionism. All along Neturei Karta has been completely detached from Zionism in any form. Neturei Karta means ‘Guardians of the City’, it is an Aramaic term from the Talmud. It basically means to guard the city from Zionism entering the culture. I lied to you, I actually know where the name comes from! [Taken from www.nkusa.org- Neturei-Karta is the Aramaic term for “Guardians of the City. The name Neturei-Karta originates from an incident in which R. Yehudah Ha-Nassi (Rabbi Judah the Prince) sent R. Hiyya and R. Ashi on a pastoral tour of inspection. In one town they asked to see the “guardians of the city” and the city guard was paraded before them. They said that these were not the guardians of the city but its destroyers, which prompted the citizens to ask who, then, could be considered the guardians. The rabbis answered, “The scribes and the scholars,” referring them to Tehillim (Psalms) Chap. 127. (Jerusalem Talmud, Tractate Hagiga. 76c).] So the Zionists in this metaphor are the armed guards of the city, and Neturei Karta represents the scribes and scholars who keep the truth alive? Well in the passage, the armed guards were the Romans who had conquered Jerusalem, so they actually were the ‘destroyers’. A (Hirsch’s wife, who wished not to be named): This passage is referring to the time of the destruction of the Second Temple. Then, the scribes and the scholars literally were the guardians of the city in that, through the merit of their Torah learning, they watched over the city. But the name ‘Neturei Karta’ does not mean they are guarding over the city physically, but ideologically- they are guarding the city of Jerusalem from the ideas of Zionism. MH: There were also ‘destroyers’ of the city who were not Roman. In the time of the 2nd temple’s destruction, there were a group of Jews called Beriyonim, the ‘Bullies’, the family of Rabbi Yochanan ben Zakkai. They resisted the Romans, they decided not to surrender to the Romans at all. They were called Haruvei Karta, the Destroyers of the City. While everyone else accepted the Romans, they were adamant about not surrendering. And that is why the Romans destroyed the Temple, because of this resistance. There’s a growing movement of reform and secular Jewish opposition to Zionism, in Israel and around the world. What is the relationship between this movement and Neturei Karta’s Orthodox opposition to Zionism? The difference is that secular Jews are opposed to Zionism for humanitarian ideals which are basically Gentile, while Neturei Karta’s objection to Zionism, though it is also because of the humanitarian ideas, is drawn from religious commands. This is why our objection is much stronger, because it is based on religion. The secular and reform anti-Zionist movement shares with Orthodox opposition a valorization of diasporic Judaism, but for different reasons- secular Jews feel happy and productive in their various countries, whereas for the Orthodoxy diaspora is our God-given lot until the coming of Messiah…. There is a similarity, but there is a fundamental difference because again, the Orthodox argument is based on a divine command to stay in the diaspora, while the secular Jewish ideas are based on humanitarian values. What’s the difference between humanitarian moral ideas and divinely commanded moral ideas? In Syria people are resisting the totalitarian regime. A humanitarian person would object to what’s going on, and would care about what’s going on there. However, in Israel the state is using religious symbols to justify oppression. For example its name, Israel, is the name given to Jacob in the Torah. Whereas anyone would care about humanitarian catastrophes going on in Syria, this is the basis of Neturei Karta’s objection to the religious aspect of Israel’s crimes. Would you compare the State of Israel to the Jewish people’s sin of worshipping the Golden Calf? It is much worse than worshipping idols, because while you are worshipping the Golden Calf, you are a Jew who worships wrongly, who worships other Gods. But Zionism comes in order to fundamentally remove the roots of Judaism, it aims to destroy the Jewish people. A: Zionism claims the Jews need a nationalistic state, they need a land and a language like all other countries. Jews are not based on a land and a language, they are based on following God’s commandments, whether they live in Russia or England or anywhere. One of them is ‘do not rebel against the nations of the world’- when the Jewish people are in diaspora, they should not rebel against the powers-that-be. The second one is ‘do not go up the wall’. ‘Go up’ is ‘aliyah’. There is no problem with living in the land of Israel, but Jews should not make a pilgrimage, we should not go there en masse. The third one is do not hurry the end- there should be redemption at the end of days, but there is nothing we can do to rush it. I am curious- one of the Three Oaths is that Jews should not rebel against the nations of the world. Many revolutionary Communists, socialists, anarchists, etc. of the 19th and 20th centuries were Jewish. Were they violating the Oath by rebelling against states? That is true, but the ones who did that were not Jews. They were fully secular, and therefore not part of the Jewish people anymore. So it was not against the divine command anymore, because they did not do it as Jews. It is often said that the Messiah will come only and exactly when the world falls completely to pieces. Is the existence of Israel and its effects upon the world a sign that, because things are getting so bad, the Messiah will come soon? We are not prophets, so we do not know! According to the Torah, the Zionist State of Israel should not exist, so it will be unmade. The Book of Joshua details the migration of the Jewish people out of the desert into the land of Israel, and their slaughter and expulsion of the land’s inhabitants. What do you think of those who justify the modern-day creation of the state of Israel by citing this biblical precedent? Because Zionism is coming to destroy the Jewish people, they have no right to do this. Attempting to come and use a Biblical ideal to justify their actions is blasphemous, it is like mixing light and dark. This is brainwashing propaganda by the Israeli Zionist media machine. It has nothing to do with Torah. Zionists are actually Amalek! The Chofetz Chaim said that he who goes against Judaism is from the seed of Amalek! And so therefore Zionists are from the seed of Amalek. Something else I’ve heard is that the Arab world hates the state of Israel because of a deep-seated Muslim hatred of Jews, turning the Israel-Palestine conflict into a ‘holy war’ between Islam and Judaism. This is a very big distortion of history. If you go throughout 3000 years of history, the big persecutions of Jews were always in Christian, not in Muslim countries. The classic example is the deportation from Spain, where Jews, deported from Christian Spain, found refuge in Muslim countries. But you don’t have to go that far- in the Holocaust time, Jews found safe havens in many Muslim countries. How is Neturei Karta received by the rest of the Orthodox community? Almost all Orthodox Jews reject Zionism, and this is why almost none of them enlist in the army. Although many receive funds from the government and involve themselves in the politics of the Zionist state, they reject Zionism’s ideals. The impression is that Orthodoxy supports Zionism but this is not true. They cooperate, they go hand in hand with it but they do not agree with it ideologically. They have gotten used to it. But the difference between them and Neturei Karta is that we desire to have contact with Muslim people and Palestinian leaders. How old were you when your father visited Yasser Arafat in Ramallah? What was it like? I was 15 or 16. 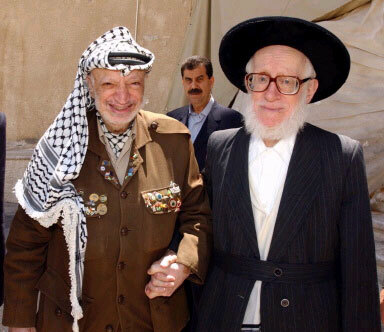 Even when Arafat was living in Tunisia my father went to him and explained that Judaism and Zionism are two opposite ideas, and that Neturei Karta aims to support the right of Palestinians to receive their national home in Palestine. I met Arafat in Ramallah and the Gaza Strip. It was very important for me, and a few days later, when Arafat spoke at the UN, he said he knew the difference between Judaism and Zionism. This was very important for me. Were you or your father condemned by the Jewish community for this? Of course there were objections, by settlers for example, to these meetings, but of course we don’t really care. So you are carrying on your father’s message! Zionist actions are creating a lot of hatred against the Jews, and it is important for us to make it very clear to Palestinian leaders that true Jews are anti-Zionist, to try to prevent as much as possible this misunderstanding. There are some Orthodox Jews who simply ignore the State of Israel, refuse to pay taxes, etc. but Neturei Karta actively vocalizes and demonstrates opposition. What is the importance of this? It is very important to be active against Zionist actions, because they are harming both Jews and the rest of the world. So it is important to maintain vocal opposition, to dispute the Zionist agenda and make it understood that the Zionists are not really the Jewish voice. Do you go to the Kotel (Western Wall)? Because it has been occupied by the Zionist state, and I do not recognize this occupation. It must be difficult for you, because it is one of the holiest places in Jerusalem! It is hard, because it is only five minutes away from here by foot! What do you think of international Neturei Karta members who refuse to even set foot in Israel for the same reason? It is equally important, I believe, to be able to declare opposition from within here, to speak out against Zionist actions. Do you think that the State of Israel will disappear and become another stain in Jewish history, like Sabbatai Tzevi or any other idol worship in the past?